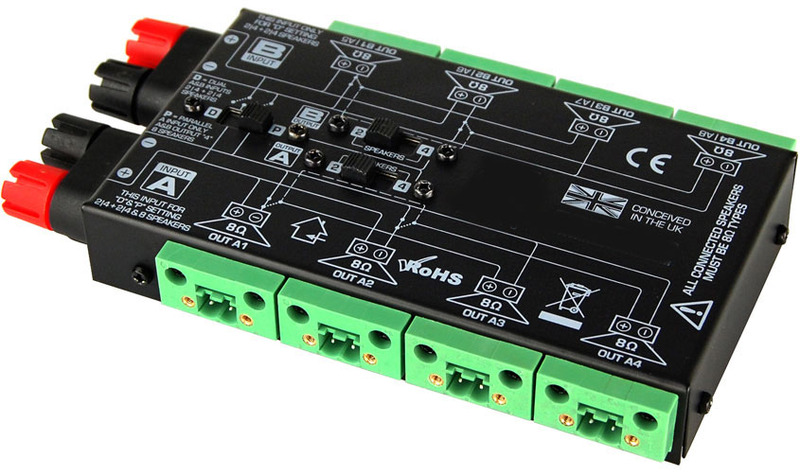 This allows up to 8 speakers to be connected to an amplifier. Perfect for adding extra speakers on to the new SONOS AMP, Many installed sound systems work with 4, 8 or a maximum of 16 speakers, and serve relatively limited areas of up to 300sqm, with the main target of music replay. Typical installations of this nature encompass retail shops, restaurants and bars. While 100V line systems are a possible choice for such applications, the required transformers can prove to be expensive while limiting audio bandwidth and causing saturation losses. 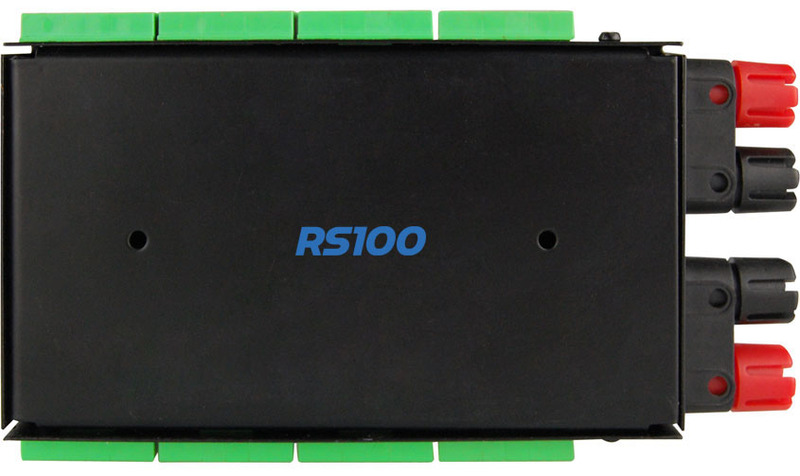 A low impedance system is hence a viable alternative, and to reduce the complication of installation with required parallel and serial wiring, RS100 offers a solution with the SPB-8420. This low impedance speaker installation patch box takes away the hassle of determining the correct combination of parallel and series wiring, and also solves the problem of wire impedance load balancing by keeping the wire lengths, cross-sections and impedances the same for every connected speaker. The SPB-8420 is designed for the use with 8 Ohm speakers. 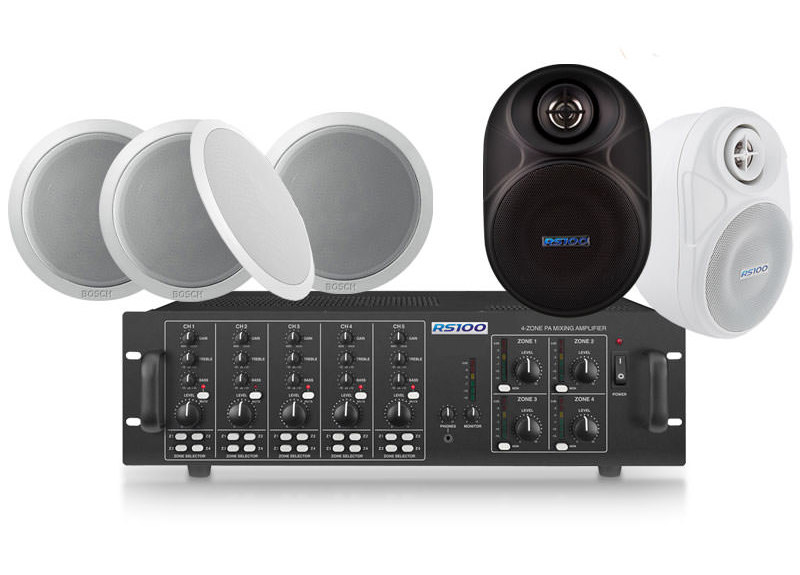 The necessary configuration can be selected via 3 top-panel switches, and can be set between a stereo mode with either 2×2 or 2×4 speakers, or a mono mode with 8 speakers. For 16-speaker installations, the use of two units is required. The SPB-8420 is intended to be placed in the center of the speaker arrangement, with cables running from the driving amplifier into the input binding posts. Speakers are connected via 5.08mm Phoenix-style connectors, with the necessary plugs supplied with the unit. The unit is passive, requires no power supply and sports a mounting system for simple mounting on walls or ceilings. 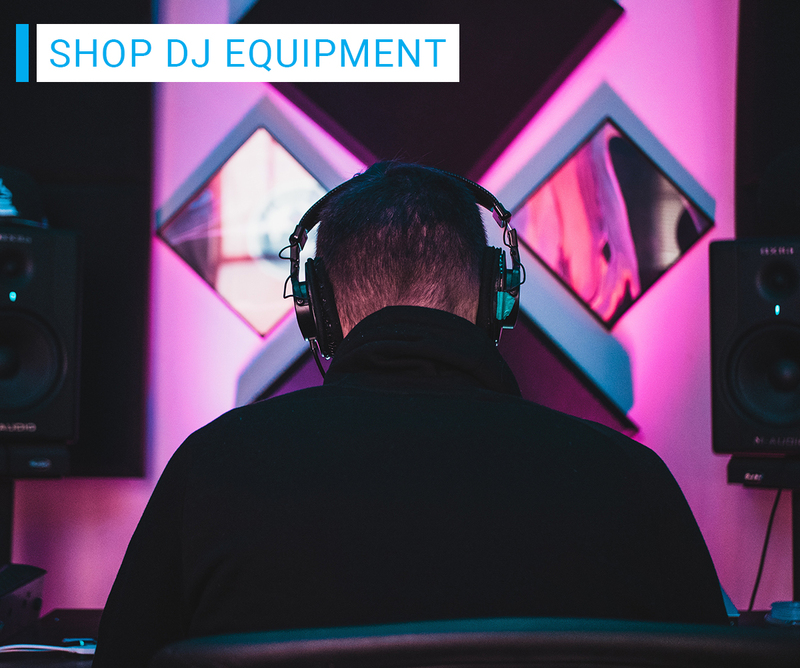 The SPB-8420 is the perfect solution for contractors who are determined to provide the best sound for an attractive cost by opting for a low-impedance system. This product is passive and does not require compliance verification with the EMC Directive 2004/108/EC and the Low Voltage Directive 2006/95/EC.